MSA specializes in staying in tune with the issues and trends impacting the meeting planning profession and the meetings industry. 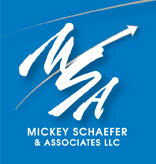 With Mickey Schaefer’s 30-year background as a meeting professional, MSA focuses on meeting client needs while monitoring emerging shifts in the meetings industry and, most importantly, meeting planner needs and preferences. Through research, 1:1 discussions with top meeting professionals, and MSA-facilitated Customer Advisory Boards, MSA is one of the industry’s expert resources for information on The Pulse of the PlannerTM.